Our House has an Anchor: Happy 100th! Exactly one year to the day, we published our first post on Our House has an Anchor! 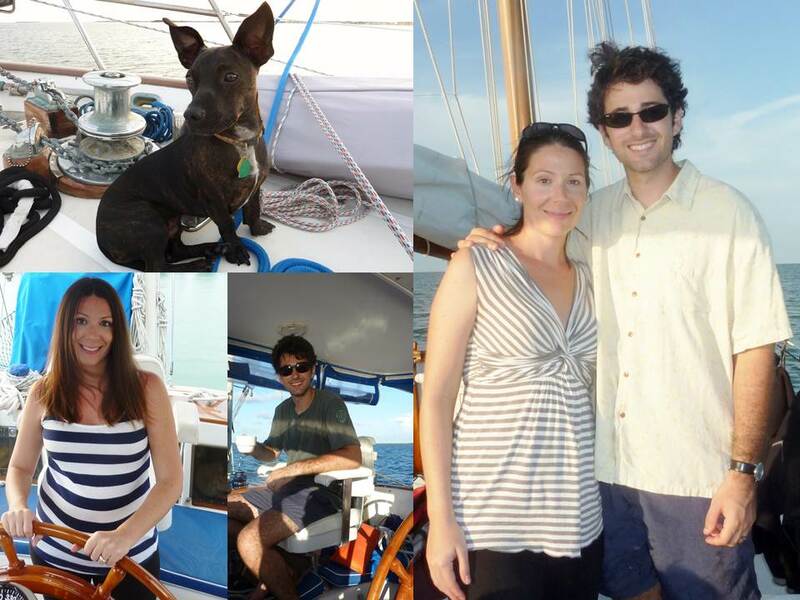 The motivation for starting our blog came from the reactions we got after telling people we were planning on selling our belongings and moving aboard a sailboat. Upon sharing this news with others, Eric and I were bombarded with questions, concerns, and a bouquet of mixed emotions about the whole situation. It was eye-opening. What seemed like a fairly normal decision for the two of us was clearly a topic of intrigue, curiosity, confusion, worry, and horror for nearly everyone else we talked to. We thought that having a blog about what we were up to might be interesting for other people, and it would give our friends and family a bit of insight into what we were thinking, in order to assure them we hadn't (totally) lost our minds. Additionally, we were amassing a lot of knowledge about nearly every boat-related topic under the sun, as well as discovering great ways to simplify our lives. We figured someone else might benefit from everything we were learning, so why not share what we know with others? One year ago, we were still in the early stages of finding a boat and were just starting to rid ourselves of our belongings. 100 posts later, we are blogging about our boat Sea Gem, what it’s like to live aboard, and how our soon-to-be-born baby fits into the sailing equation. And, just in time for our 100th post, we reached another blogging milestone--we got hits from Morocco, Saint Lucia, and the Cayman Islands, which means Our House has an Anchor has had visitors from over 100 countries! Thank you for reading our blog--we’re looking forward to the next 100 posts!